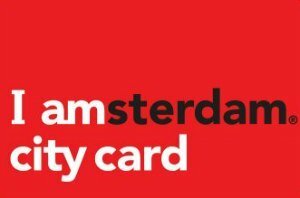 With Amsterdam fun facts, you will know a lot about the city you are going to visit. Learn interesting and fun facts, like "where is Amsterdam?" and "what language do they speak there?". Read through this quick introduction for a better view and understanding of this beautiful touristic city. Can you believe those people who travel to Amsterdam, but who cannot point on the map where Amsterdam is? 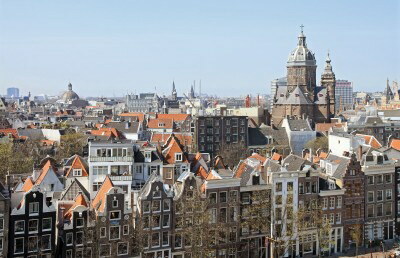 Amsterdam is the Capital of the Netherlands. The Netherlands is sometimes called Holland, but that is not right, because Holland is actually just a small part of the Netherlands, consisting of the two western counties: North and South Holland. There are 12 counties in the Netherlands. The Netherlands is located in the North-western part of Europe, with his neighbors Germany on the east and Belgium on the south. On the west you will find across the North sea England. An interesting part of the Netherlands is that it is a very flat country and a big part lies beneath sea level. The Netherlands is famous for its water works, like dikes, storm securities and dams. Mayor factors in the Dutch economy are export through the biggest harbor of Europe, located in Rotterdam and transport. People speak the Dutch language in the Netherlands, although there are different dialects in the north and south. Almost all Dutch people speak also English and sometimes French or German. The Netherlands is a very small country, you can drive it from north to south in about 3,5 hours and from west to east in about 2,5 hours, but there are more than 18 million people in this small country, which make the roads full of traffic jams, the properties small and expensive and the cars small. 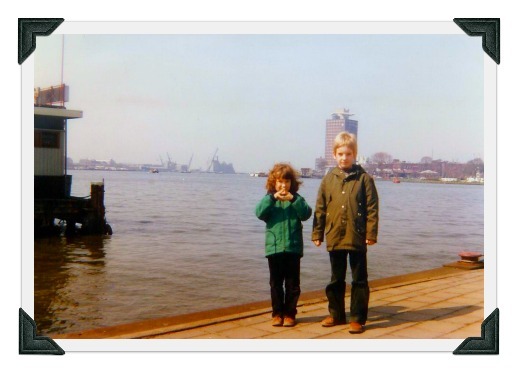 Me and my brother on the side of the "IJ-river", which flows through Amsterdam, going from the North Sea to the IJmeer into the IJsselmeer. This photo is taken in 1979. A long, long time ago.